Sure, it's a number... but a weird one. Of course zero is a number. It's even (I'll explain if anybody actually needs me to) and it follows almost all rules of mathematics except for division (which you can actually account for if you think about infinity too). Math stops working, because once I prove 1=2, I can use that to prove that (2-1)=(1-1)=>1=0=2. Continuing on in this vein, I can prove that ANY NUMBER=ANY OTHER NUMBER. But zero is a number. It is a special number. It is neither odd, nor even; neither positive, nor negative. Even though it is equal to an integer squared, it isn't a perfect square (a trait that it shares with 1). It isn't prime. It is a placeholder digit, but only when used as a digit (ex. 101 means 1 group of a hundred, placeholder/no groups of ten, and 1 group of one). ∞ isn't actually a number, though. It is a placeholder that means "Really gigantic number so large that when you add 1 to it, it is so close to itself that there is no appreciable difference." This is absolutely correct! The only time that you can "divide by zero" is when you are playing around with limits. (Integrals and Derivatives are limits, just special kinds). Playing with math is FUN! If .999...=1, there is no doubt that 1/∞=0. The reasons why .999...=1 (a point that I am not arguing against; it is a true statement) are different than the reasons why 1/∞≠0. 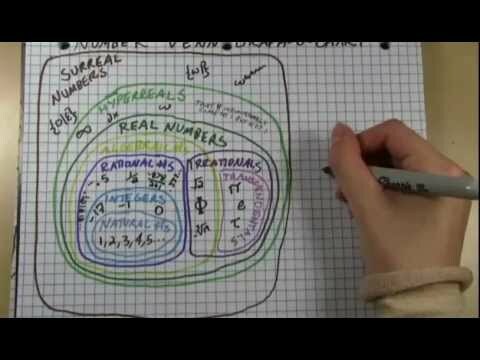 Starting at 1:34, you can have a number that is infinitely close to 1 but still less than 1 (but it isn't .999... or any real number, but infinity isn't a real number either). Likewise, you can have a number that is infinitely close to 0, but still greater than 0. That is what you get when you divide any number by infinity. It gets really fancy when you start getting into indeterminate forms like 0/0, 00, 1∞, 0*∞, ∞/∞, or my favorite, ∞-∞. Actually zero is even, when divided by 2 it has no remainder. If you disallow ∞/∞, you have to disallow any division by infinity. You can't just say that it doesn't doesn't work in this one very specific case (the reason why indeterminate forms are a thing is because they are where two rules conflict, e.g. n^0=1 && ∞^n=∞ =>∞^0=?). The only thing that I am really assuming in my example is that ∞=∞, but I could prove that given a base of 1/∞=0. Let x=∞: If I use a variable, I can do algebra with it. The only way that this doesn't work is if x≠x which would mean that 1/x≠1/x => 1/x≠0. Luckily, ∞≠∞, because ∞ isn't a real number; it is a placeholder for super big number. You are right on this one. I should have looked up the definition of parity before relying on something I learned in math class 8 years ago. EDIT: <sup> tags don't work. Actually I can! You're making an aesthetic judgement not a logical one. One might find (as I do) this system (the extended real number system) to be ugly or inelegant but it's not inconsistent. (the reason why indeterminate forms are a thing is because they are where two rules conflict, e.g. n^0=1 && ∞^n=∞ =>∞^0=?). There is a conflict here, the rules n/∞=0 and n*∞=∞. This is why ∞/∞ is disallowed. The only thing that I am really assuming in my example is that ∞=∞, but I could prove that given a base of 1/∞=0. The only way that this doesn't work is if x≠x which would mean that 1/x≠1/x => 1/x≠0. Let x=0: If I use a variable, I can do algebra with it. Luckily, ∞≠∞, because ∞ isn't a real number; it is a placeholder for super big number. There are many systems that deal with infinitely large numbers, some of them (like the extended real number system) use ∞ as a number. Really, whether ∞ is a number depends on the number system you choose to use. Typically though, using ∞ as a number is an abuse of notation, but if one is careful it can be a rather useful one. I think just as there are different sizes of infinity, there are also different sizes of zero, per se. Practically, they all have no value. But technically, their value is infinitely small. What the freak is all this? Madness. Pure madness. And math. I found me a new sig quote. I realize that I am not applying math entirely correctly; that was partially the point. I wasn't trying to show the number system as being inconsistent, just the statement 1/∞=0. I agree that n/∞ approximates 0, but once you start using the "=" things change. That's the thing, n/∞=0 isn't a rule. lim[x->±∞](n/x)=0 is a rule. ∞/∞ is disallowed because ∞ doesn't always equal ∞. Indeterminate forms are forms that involve playing with limits where just replacing the parts of an equation with their limits doesn't tell you what the whole thing equals. For instance, lim[x->∞](x^2/x); lim[x->∞](x/x); and lim[x->∞](x/x^2) go to ∞, 1, and 0 respectively, even though lim[x->∞](x)=∞, ∞/∞ is, in this case, 1. I am allowed to simplify out the ∞ because I have already proved that it equals itself, therefore I am using the "lim[x->∞](x/x)" definition of ∞/∞. I understand that ∞ is really a number, but not in a typical sense. I agree that generally using ∞ as a number is an abuse of notation; I was trying to show this by abusing the hell out of it. My point was that--outside of limits--you can't treat ∞ as a number/variable and expect to have any sort of consistency in your number system; a point I was trying to illustrate by treating it as a number in 1/∞=0. As for your first point, I agree that it depends on which number system you are using, so I will not debate this point further, it is a mere difference of opinion. (I swear this argument would be so much easier if it were in person and I were allowed to talk using my hands and a chalkboard. You would see that I agree with you on every point except n/∞=0. You can only do such abrupt things with ∞ if you are evaluating limits. This is because when you are evaluating limits, you aren't using "=" as "is equal to", you are using it as "approaches". Limits were invented because you can't actually allow ∞ to be used as a number. Like Perfection said, it depends on the number system. You can't even do n/∞ in the real number system since it doesn't contain ∞. You can treat ∞ as a limit in calculus, but unless you extend to another system, n/∞ is undefined. While this allows you to play with ∞ as though it were a real number, it isn't. The sphere works because z/0≣ for , and z/ ≣ 0 where is complex infinity, is the Extended Complex plane, and ≣ is "defined as". So, yes, within the extended complex plane you are allowed to divide by ∞ by definition, but you are also allowed to divide by 0. I would consider that cheating if it weren't for the fact that the entirety of math rests on the backs of turtles. Fun Fact: Bertrand Russell once wrote a 360-plus-page proof that 1+1=2. "Infinity is an unbounded quantity that is greater than every real number." "The Cantor diagonal method is a clever technique used by Georg Cantor to show that the integers and reals cannot be put into a one-to-one correspondence (i.e., the uncountably infinite set of real numbers is "larger" than the countably infinite set of integers)." "However, even though the formal statement 1/0=∞ is permitted in C-*, note that this does not mean that 1=0·∞. Zero does not have a multiplicative inverse under any circumstances." Another fun thing is lines being circles with an infinite radius. The Riemann mapping theorem is also great. It shows any simply connected region that is an open subset of C but not the whole of C can be mapped onto any other such region by a bijective and holomorphic function. Most of the functions though will be impossible to express algebraically. But they still exist. Plus Liouville's theorem which states that any bounded entire function is constant. That's the thing, n/∞=0 isn't a rule. Typically it isn't! My point is dependent on us defining n/∞=0 (as the extended real number system does). A consistent system can actually by put together with that taken to be true. I understand that ∞ is really a number, but not in a typical sense. My point is more nuanced. ∞ being a number depends on usage. When you use it in lim([->∞](1/x), it's not a number. The normal usage of ∞ as taught in calculus class is such that ∞ isn't a number. But if you use it in extended reals, you can make it one. I agree that generally using ∞ as a number is an abuse of notation; I was trying to show this by abusing the hell out of it. My point was that--outside of limits--you can't treat ∞ as a number/variable and expect to have any sort of consistency in your number system; a point I was trying to illustrate by treating it as a number in 1/∞=0. I generally get where you're at, and I agree there is a large amount of agreement here. My point is not that 1/∞=0 is a general rule for mathematics. Under standard calculus you're completely correct, this kind of thing only occurs when evaluating limits. My point is there is such a formulation (extended real number system) where you can use ∞ as a number and 1/∞=0 is a correct statement, and that system is not inconsistent. The reason that the system works is because it defines rules for playing with infinity according to the laws of infinite limits. In fact, that is the primary use of the ERNL; infinite limits. You aren't allow to play the trick that I did with the ∞/∞=1, because ∞/∞ is still undefined. You are saying what I was trying to say, but was unable to get across because I had been up for far too long. Complex analysis is probably my favourite branch of Mathematics. It is quickly becoming mine, as well. A perfect gif for this thread. What's this debate about now?